From March 22nd to March 24th, our bars will be decorated with beautiful cherry blossoms! From March 15th to 17th, 2019, all our 3 standing bars in Ginza Tokyo, “GINZA 300BAR” (Three Hundred Bar Co., Ltd.) will be holding a “St. Patrick’s Day” event. Effective March 1, 2019 (Friday), our opening hours will be changed to the schedule as below. 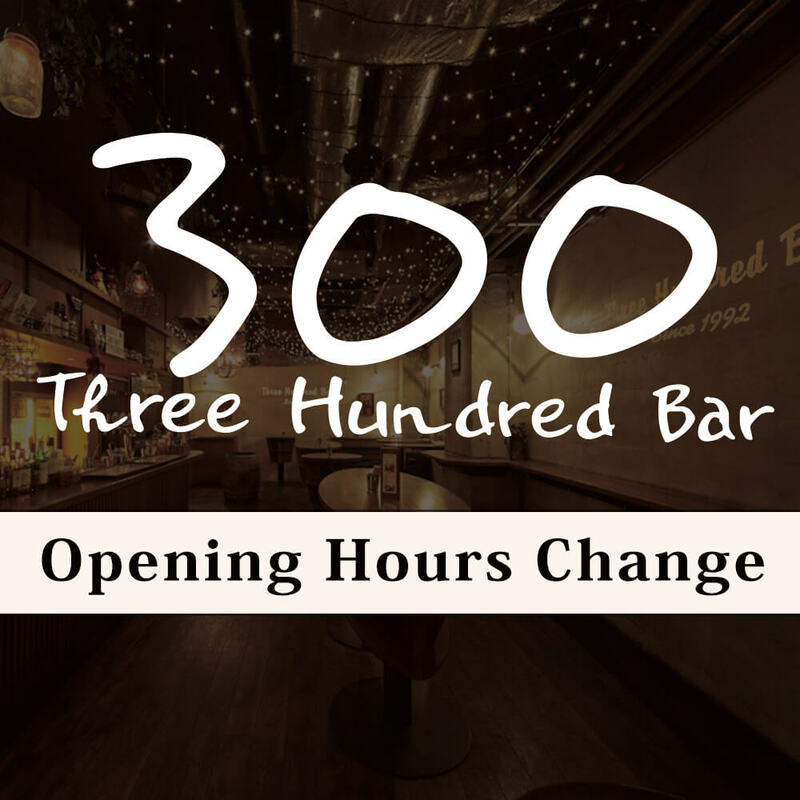 We are looking to expand our team at our Ginza 300BARs! Delivering Japanese Pairings to the World! Cuban Night 2018 This July! Watch the Soccer Games with us at 300BAR! Enjoy a free drink or food item worth 1 ticket with the purchase of 2 tickets at any of our 300BAR locations in the Ginza area! In May, 2108, we updated the signage for our 300BAR 5-chome location! Ginza’a best cost performance at only ¥300! Appetisers, meals & drinks are all 1 ticket at out Ginza Standing Bar! 300BAR got 1st PLACE around the Ginza area. From February 16th we’re open from 12pm!